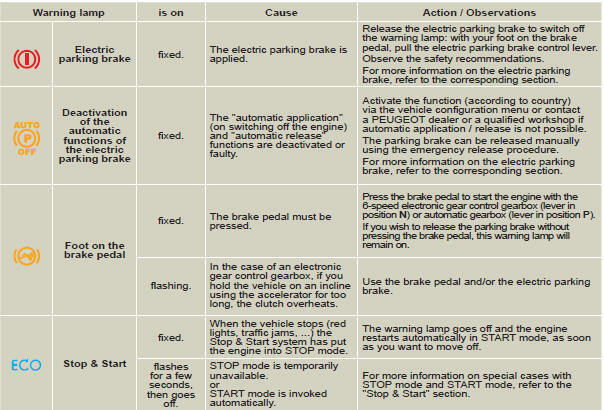 If one of the following indicator lamps comes on, this confirms that the corresponding system has come into operation. 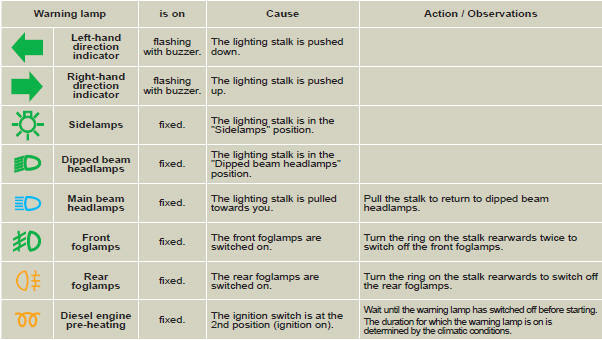 If one of the following indicator lamps comes on, this confirms that the corresponding system has been switched off intentionally. This is may be accompanied by an audible signal and a message on the multifunction screen.